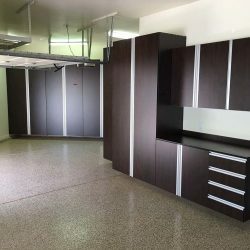 Are you tired of sharing a workspace with eight-legged critters and sorting through dusty shelves only to not find what you’re looking for? 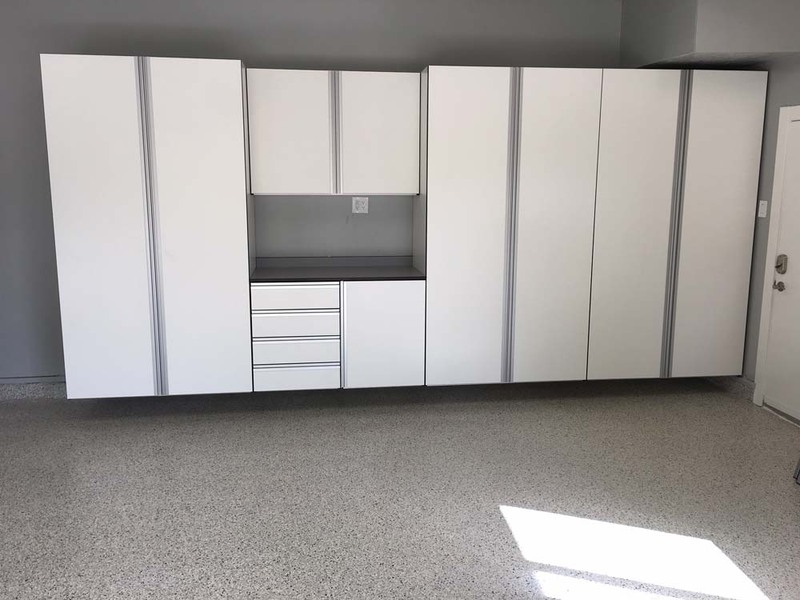 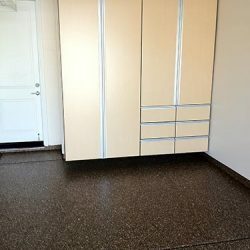 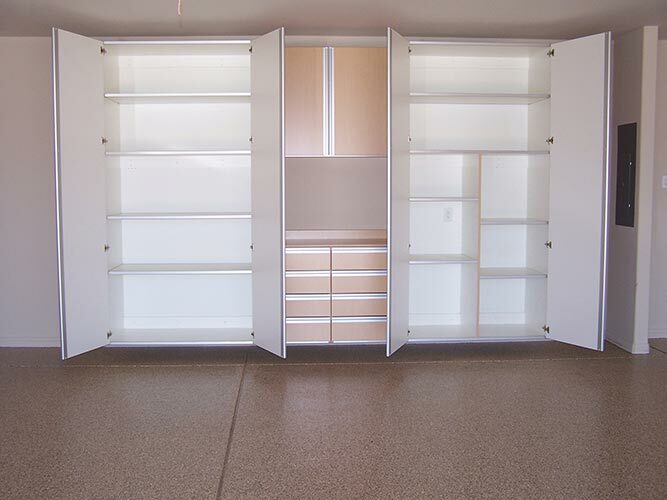 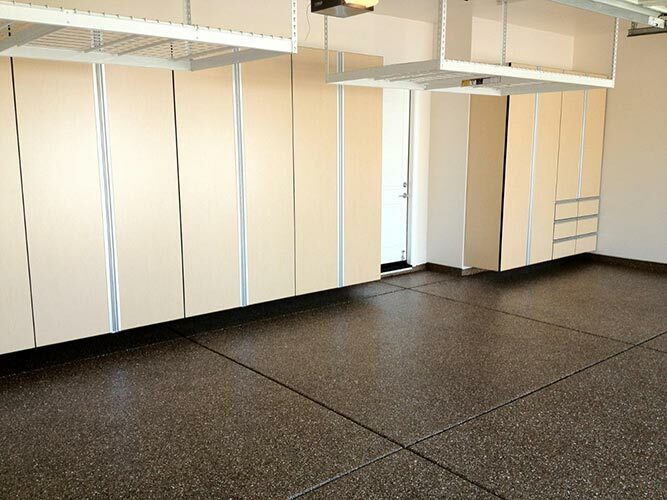 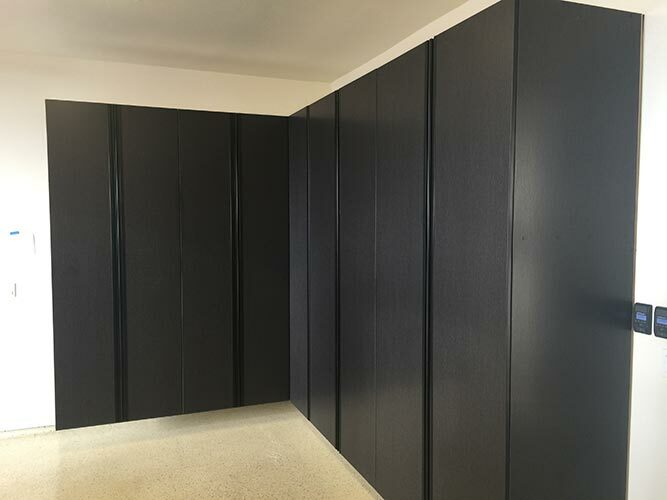 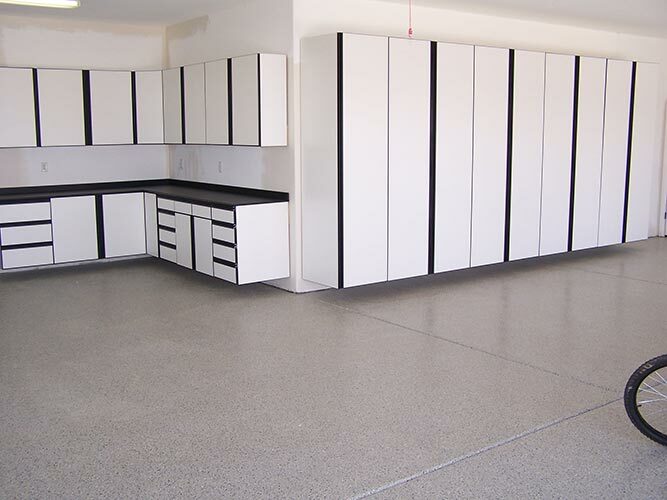 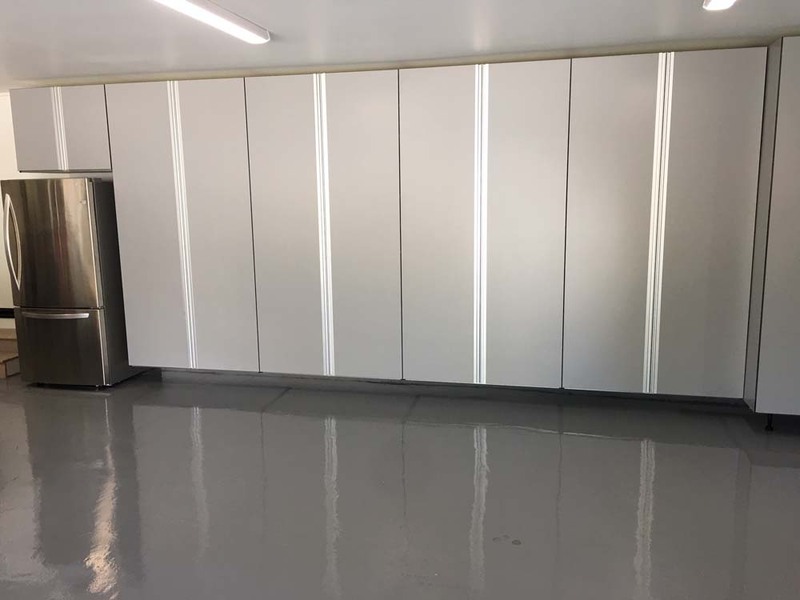 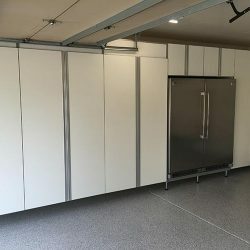 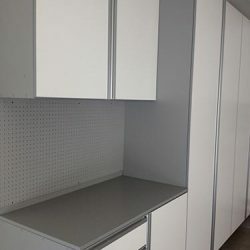 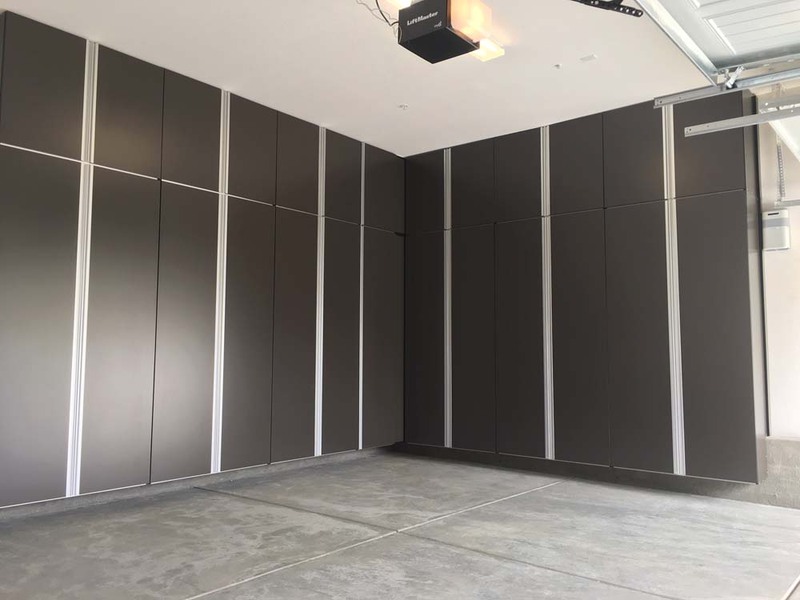 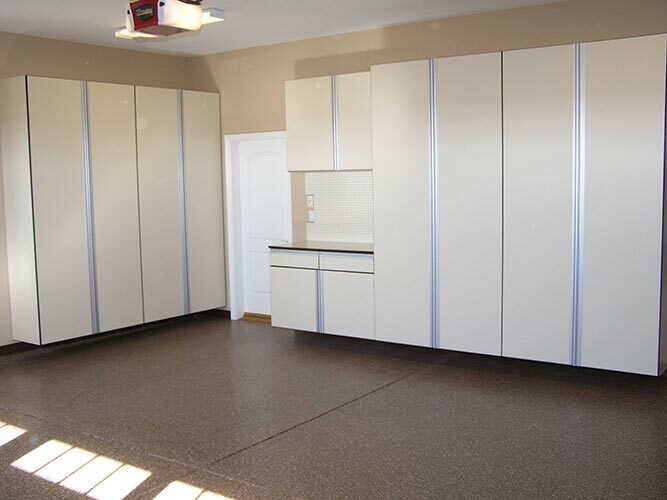 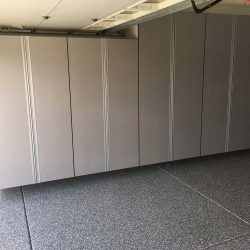 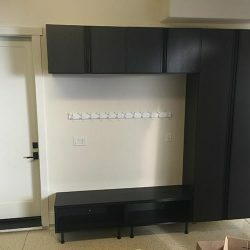 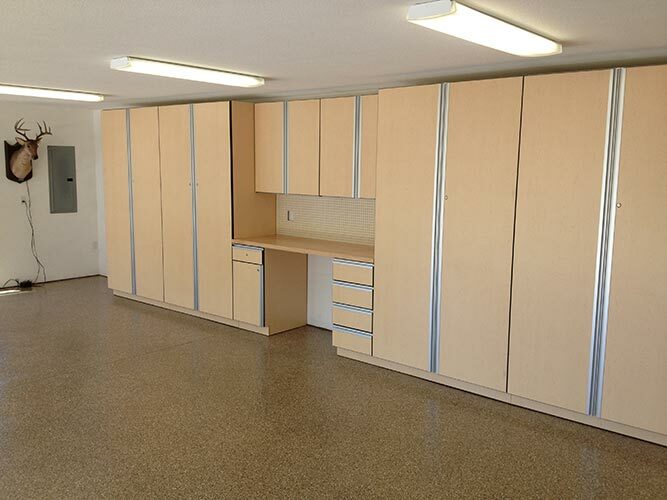 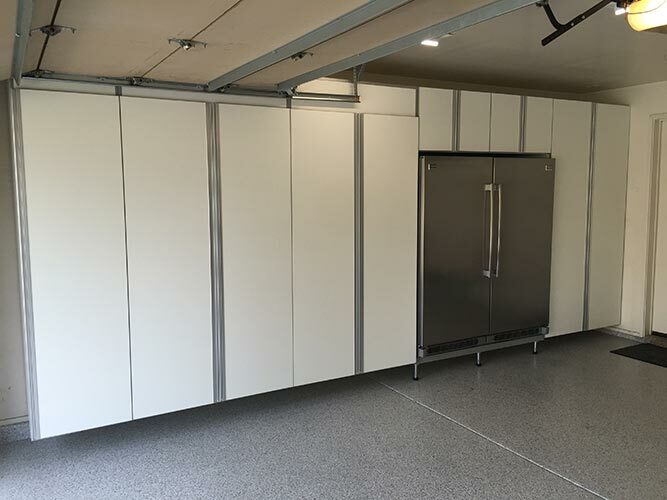 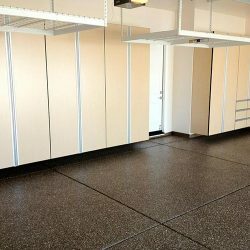 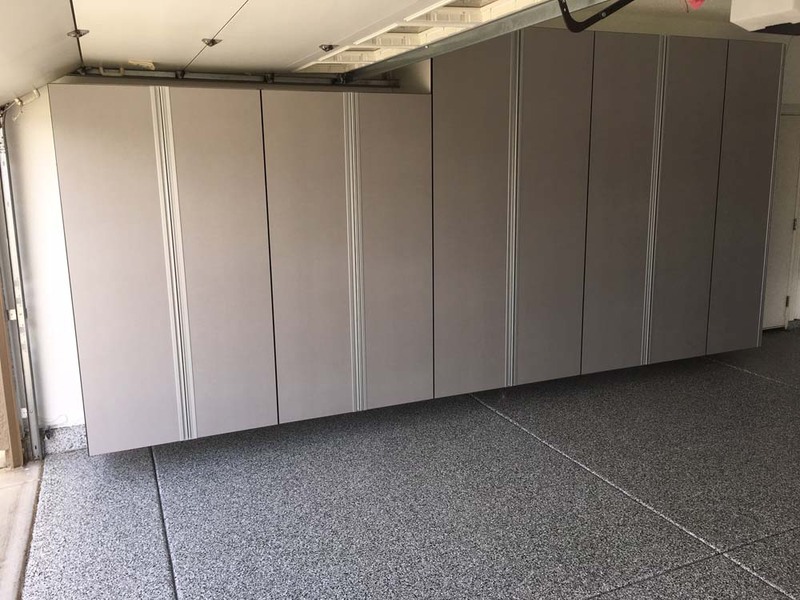 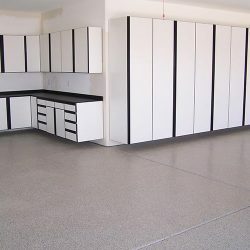 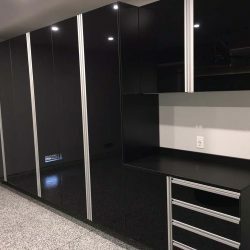 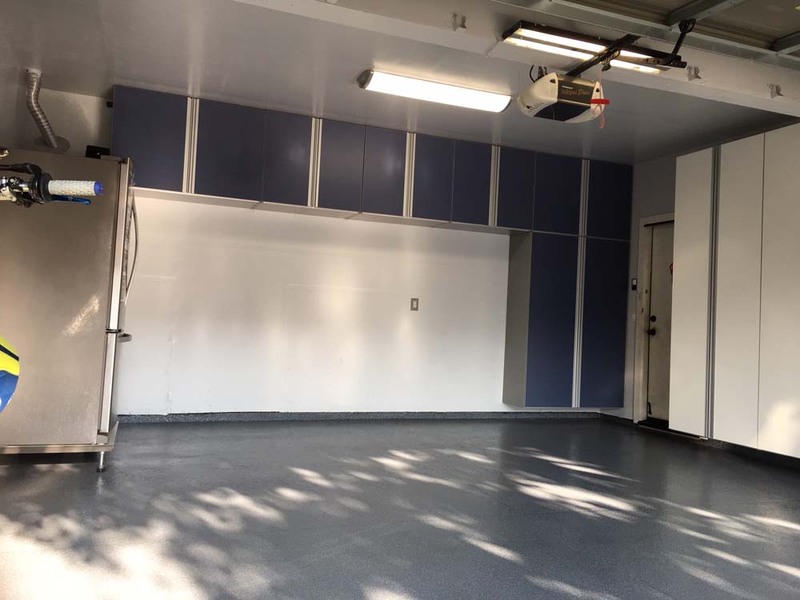 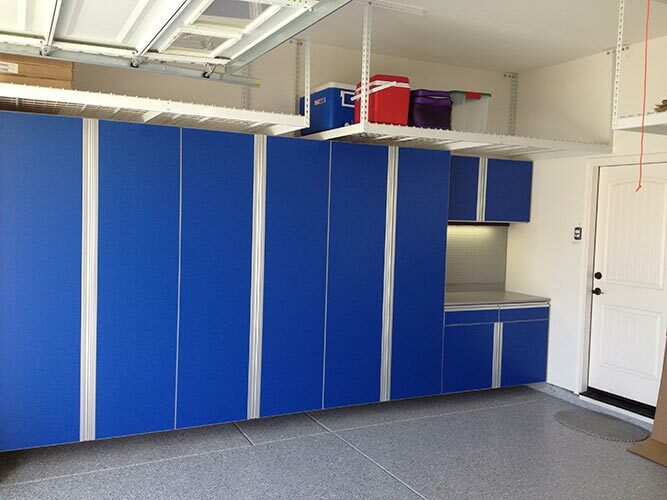 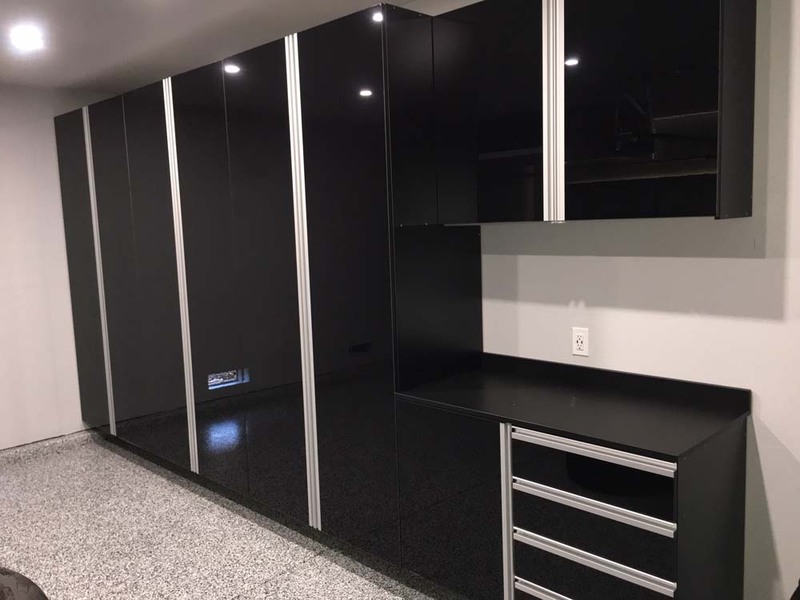 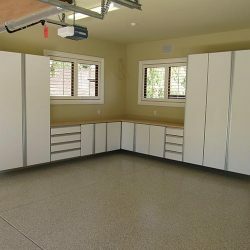 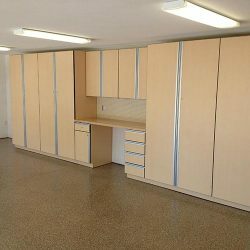 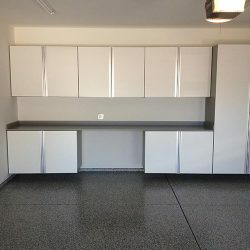 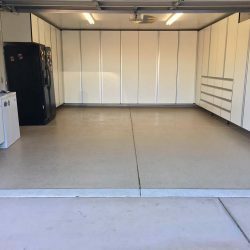 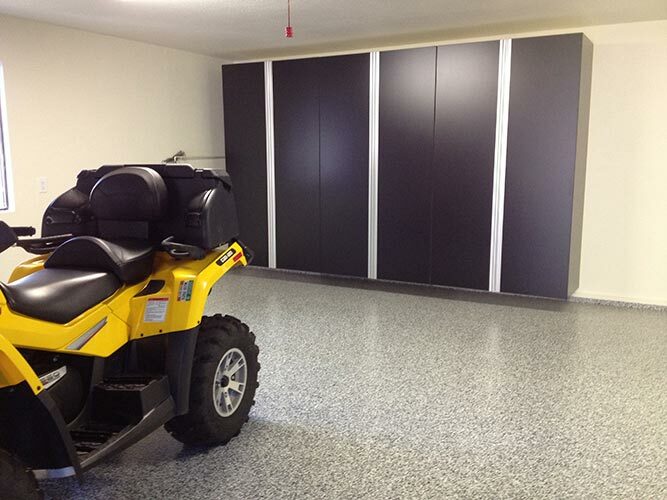 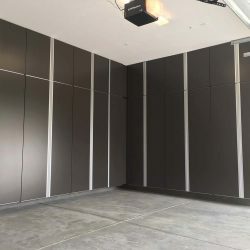 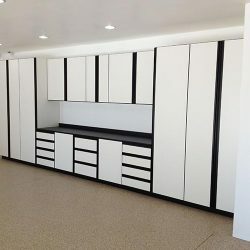 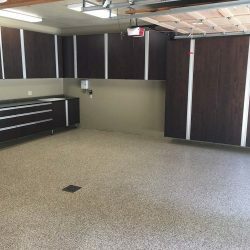 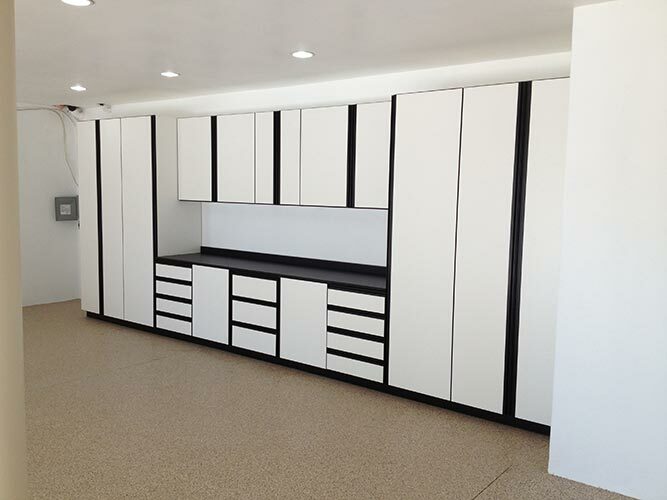 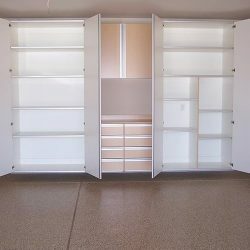 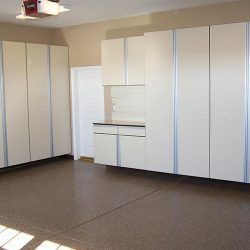 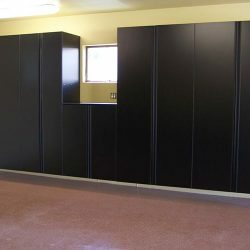 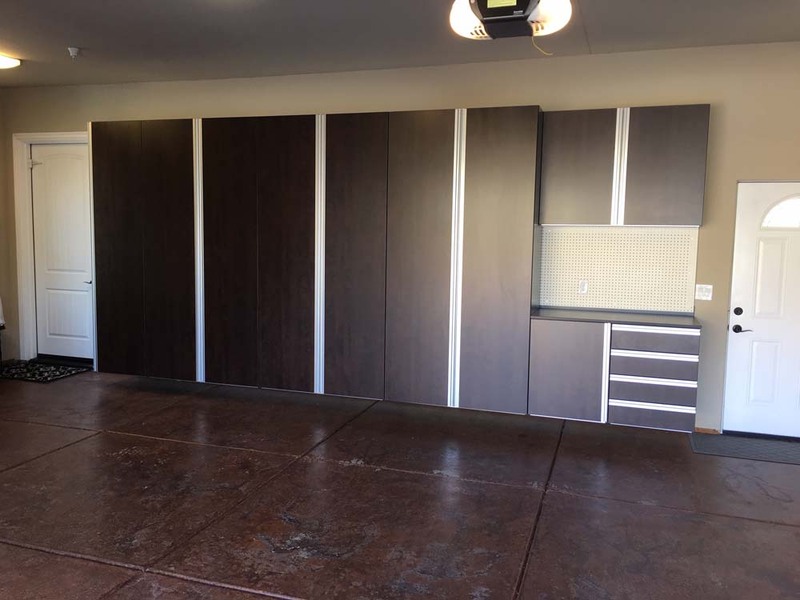 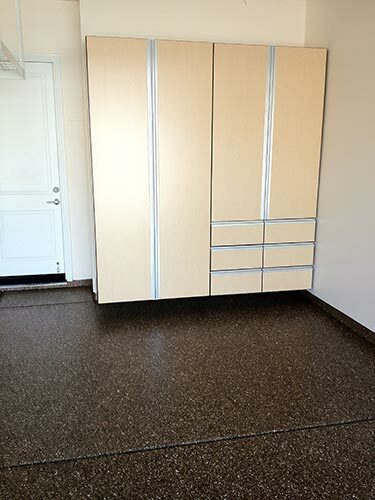 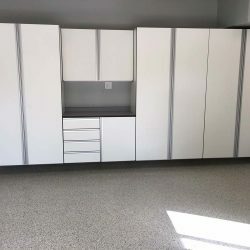 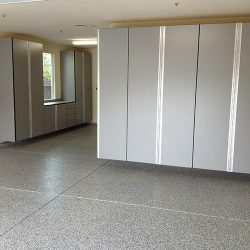 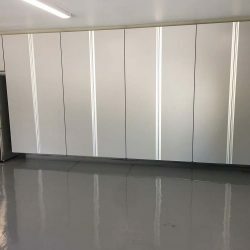 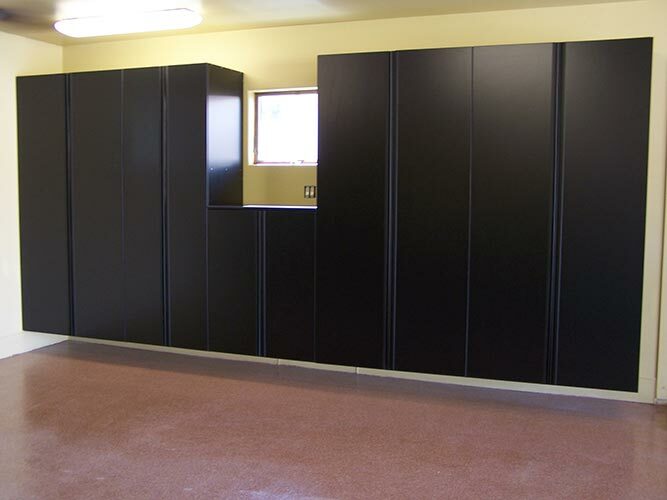 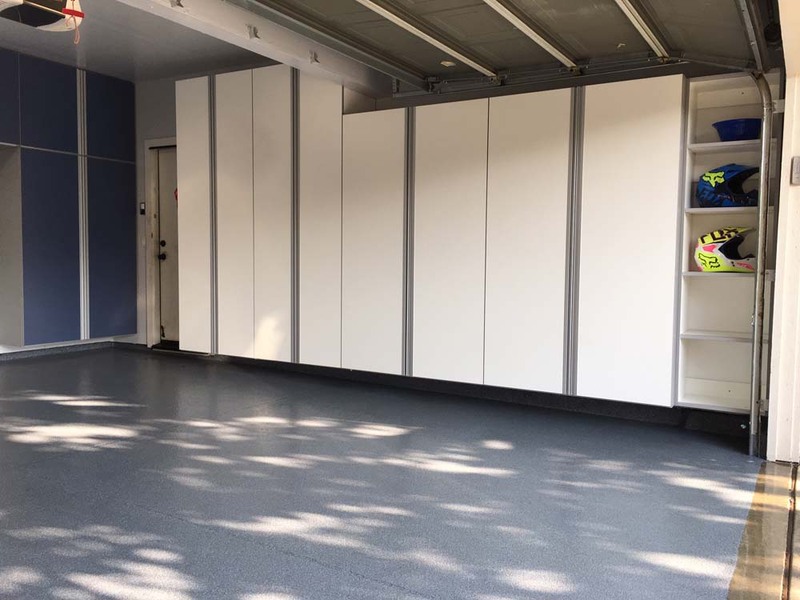 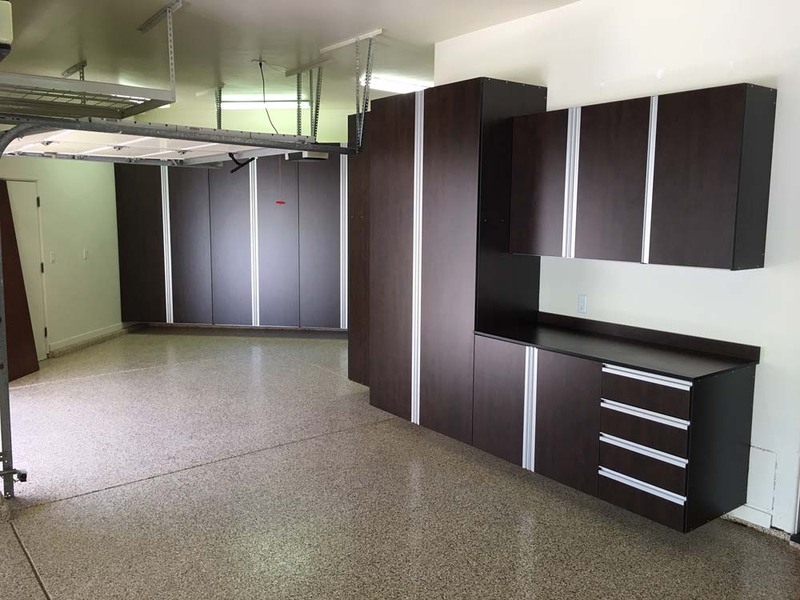 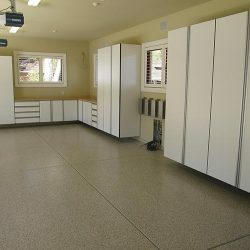 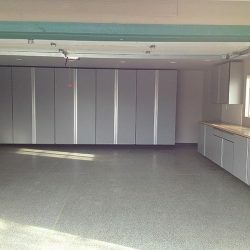 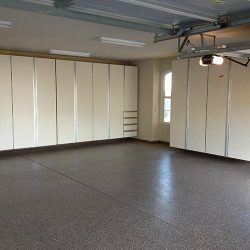 Installing custom garage cabinets can not only get rid of critters and keep away dust and grime, but is the ultimate way to use your garage storage and workspace. 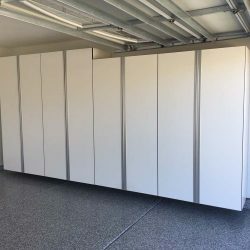 If you are like many homeowners in Sacramento, you may be using other organizational means, such as wire shelving, plastic bins, flimsy cardboard boxes, or the good ‘ol stack-and-hope-for-the-best method of garage storage. 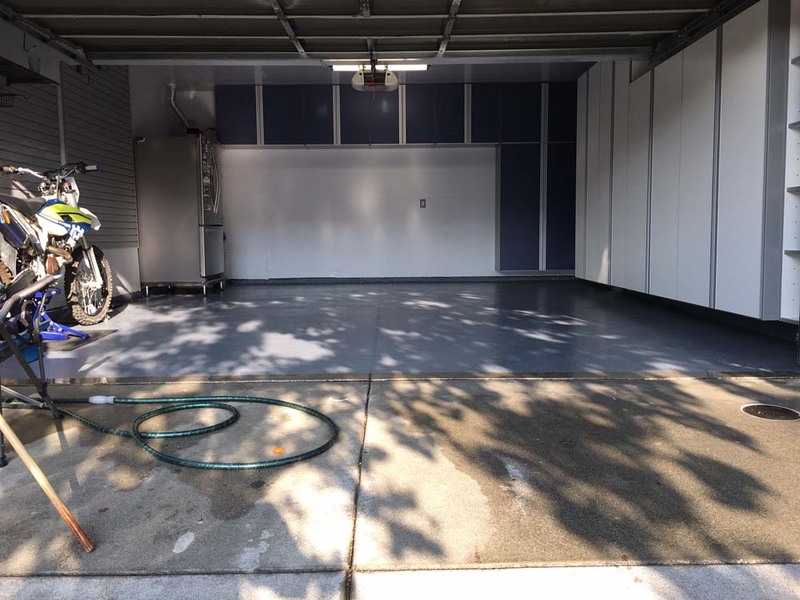 But are you really getting the most out of your garage? 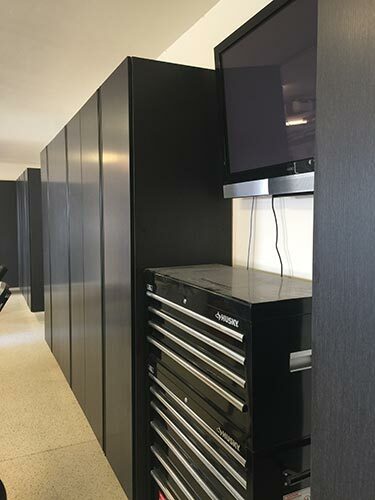 Are you wasting time you could be spending doing other things looking for that one tool? 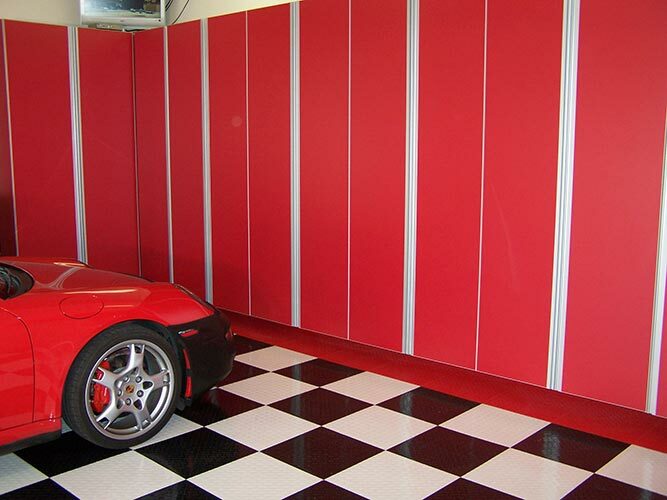 With all of these benefits, you may even want to spend more time in your garage. 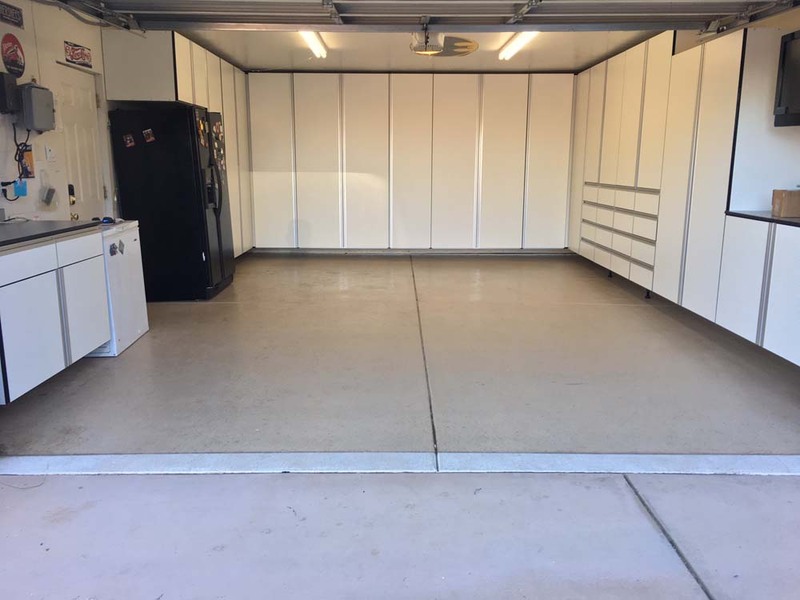 What Do You Want Your Garage to Be? 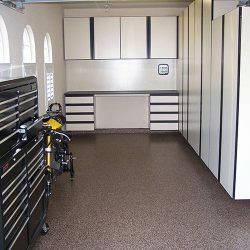 Many use their garage like their kitchen junk drawer — it is the place where they throw everything they don’t know what to do. 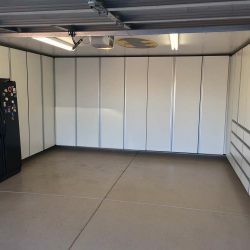 Perhaps your garage isn’t entirely a place to throw junk, but it is your workshop to work on woodworking projects, tinker with your car, or enjoy your painting hobby. 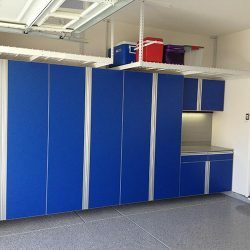 Instead of having to work around stacks of boxes, get the most out of your garage and enjoy your time spent doing what you love even more when you get rid of the clutter and install custom garage cabinets. 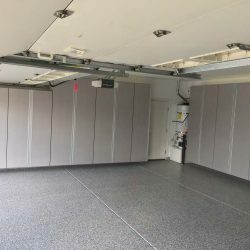 What is the Advanced Garage Difference? 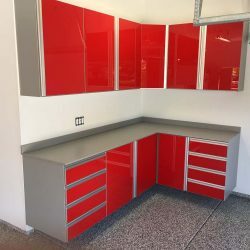 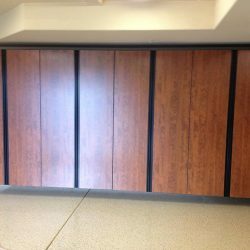 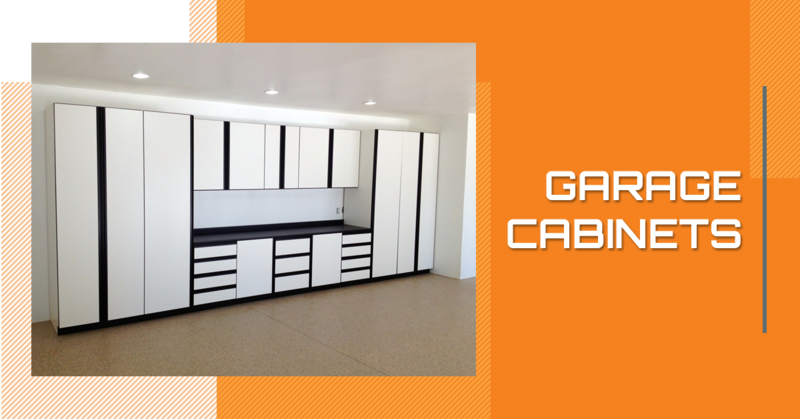 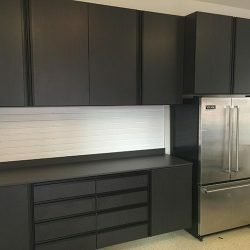 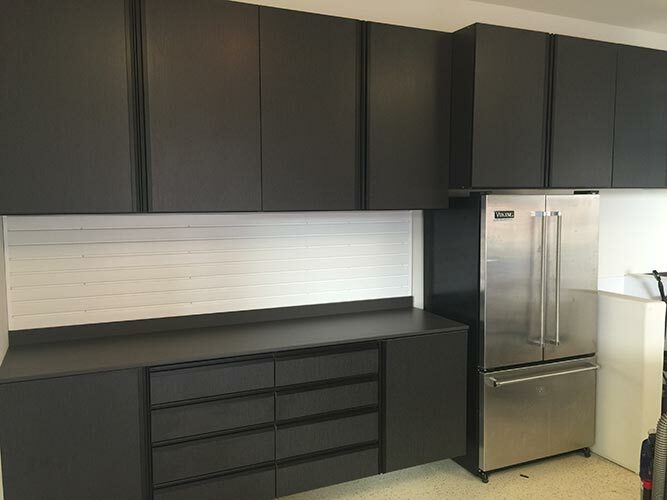 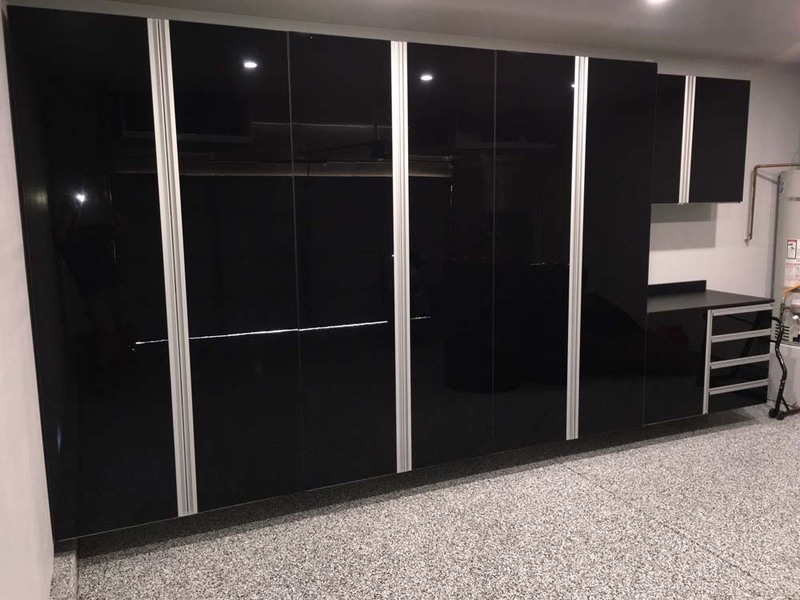 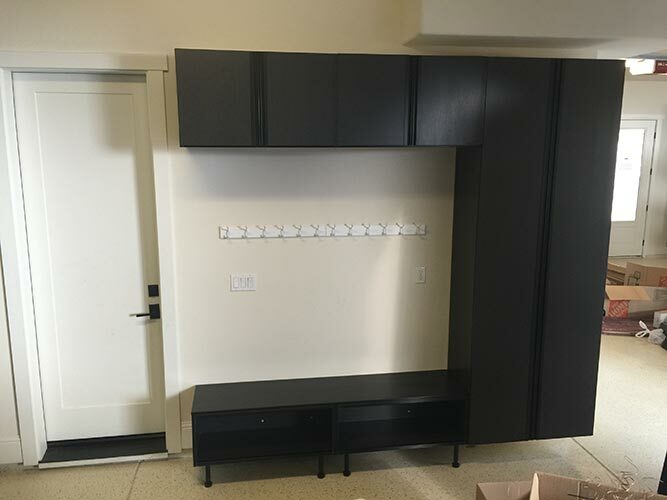 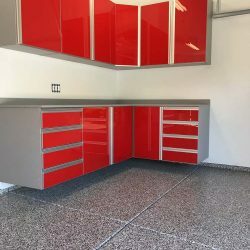 Our custom garage cabinets aren’t like those you can find at your local home improvement store, and they are definitely more effective than the stack of dusty plastic bins sitting in the corner of your garage. 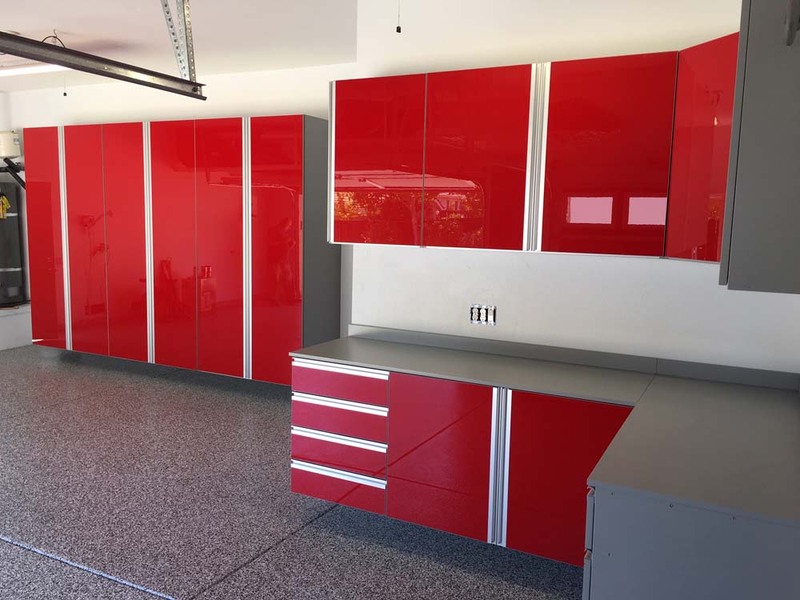 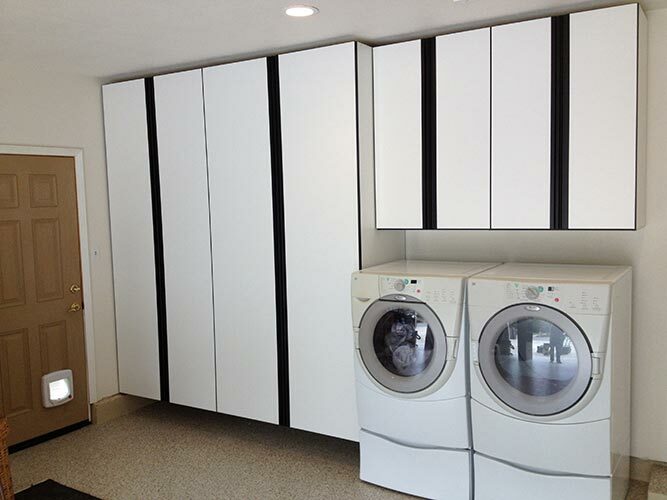 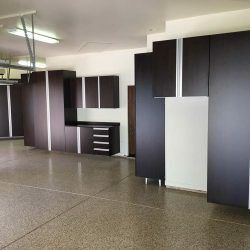 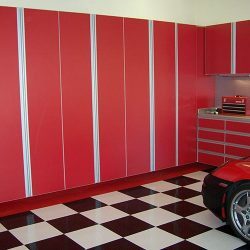 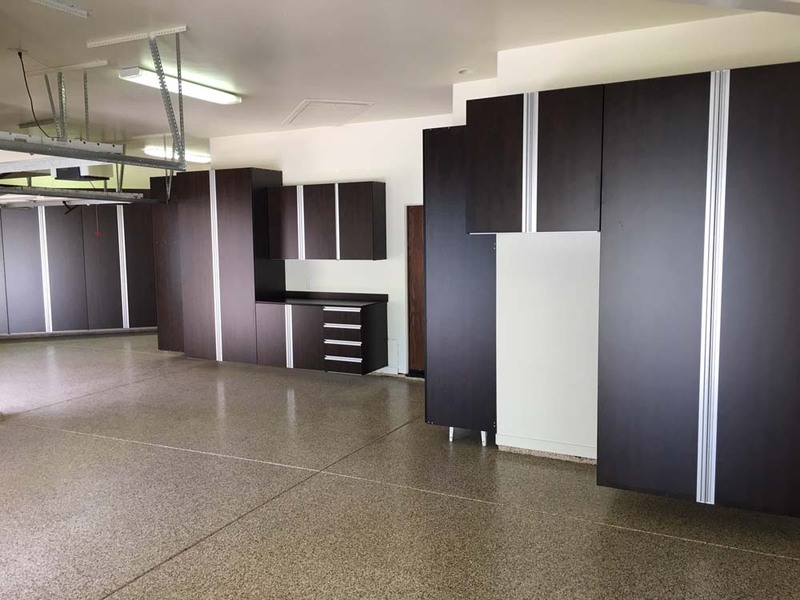 Each cabinet is designed and constructed with your needs in mind as well as the layout of your garage — designed and constructed for efficient use and effective storage. 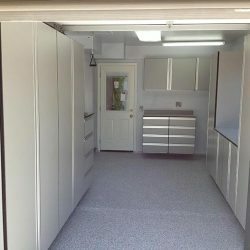 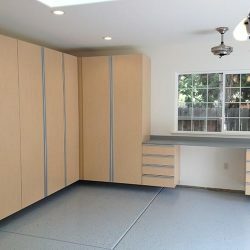 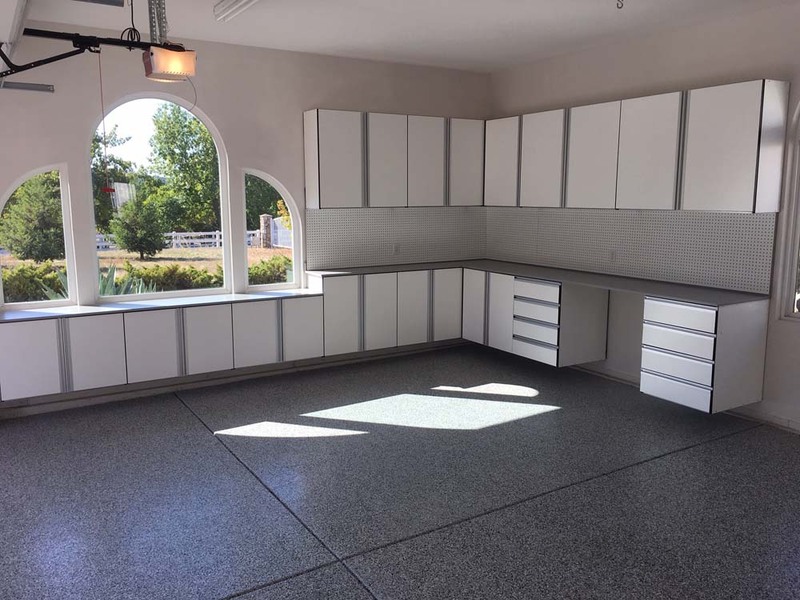 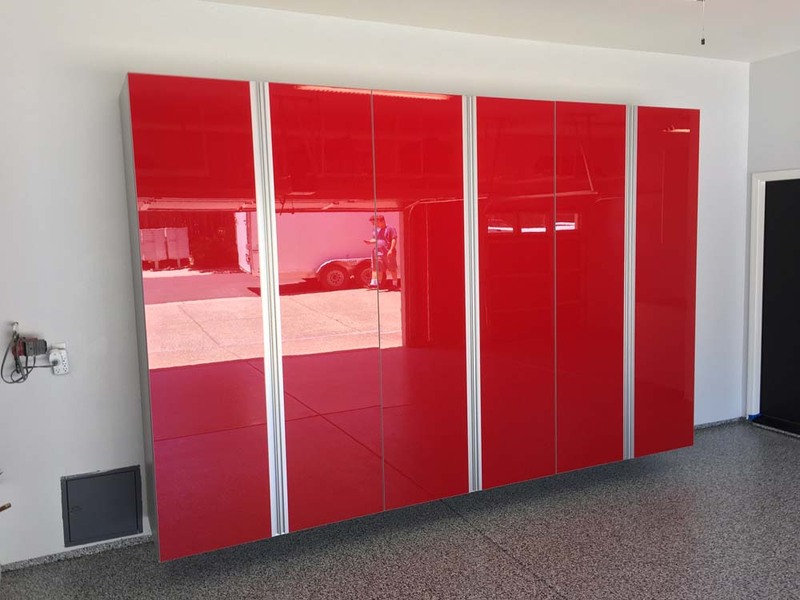 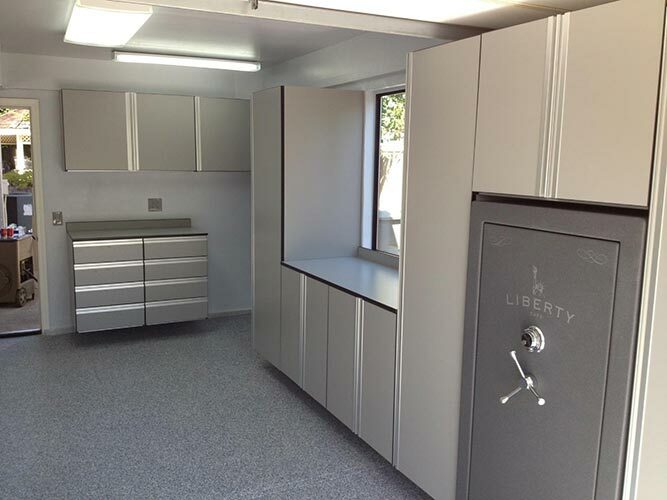 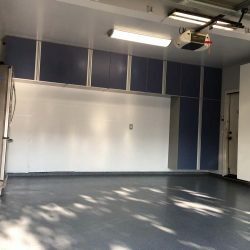 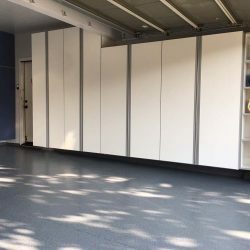 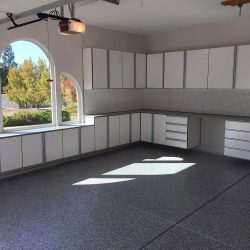 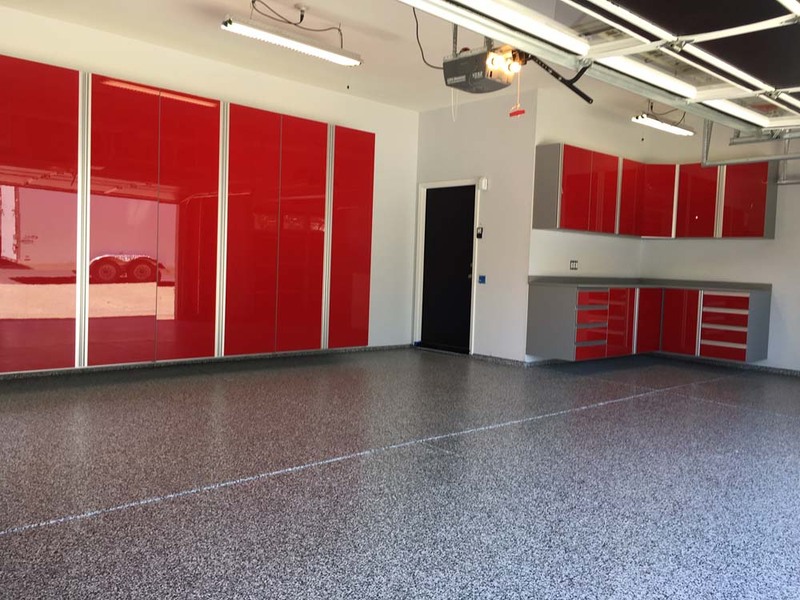 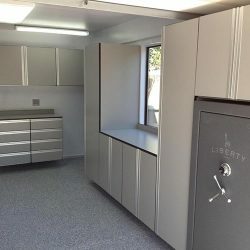 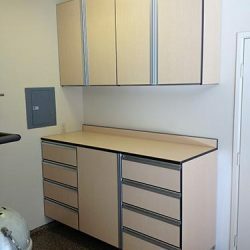 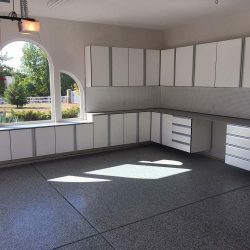 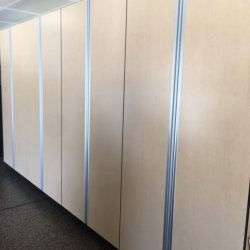 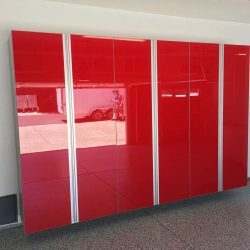 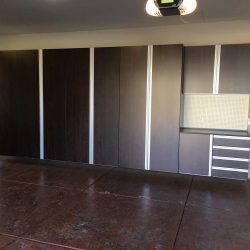 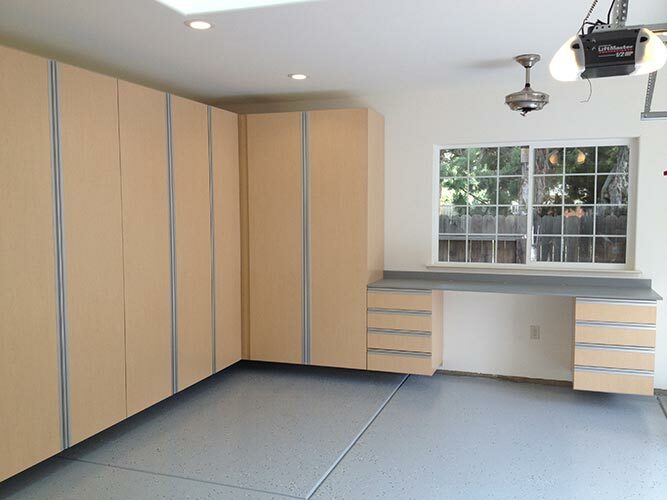 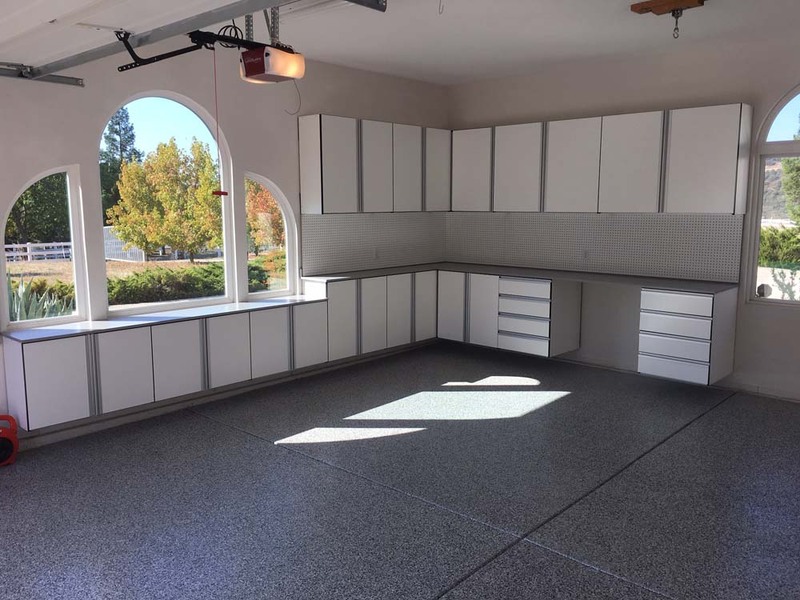 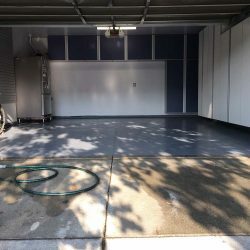 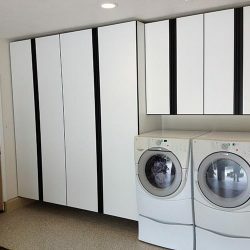 Keep reading to learn more about why our clients in the Sacramento area including El Dorado Hills, Elk Grove, Fair Oaks, Folsom, Rancho Cordova, and Roseville, and beyond in the Sacramento area choose our custom garage cabinets. 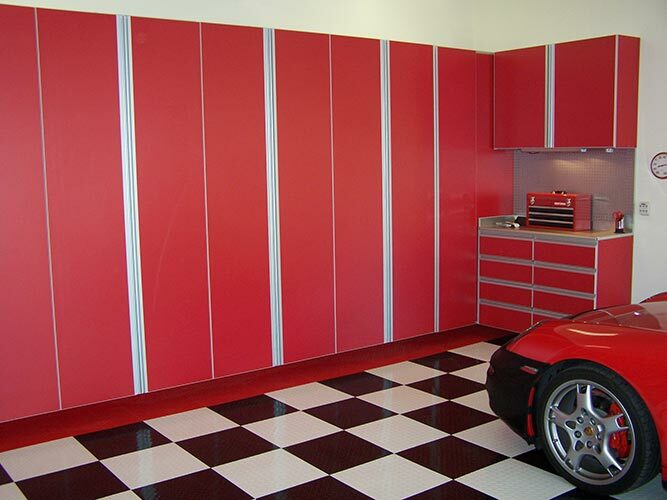 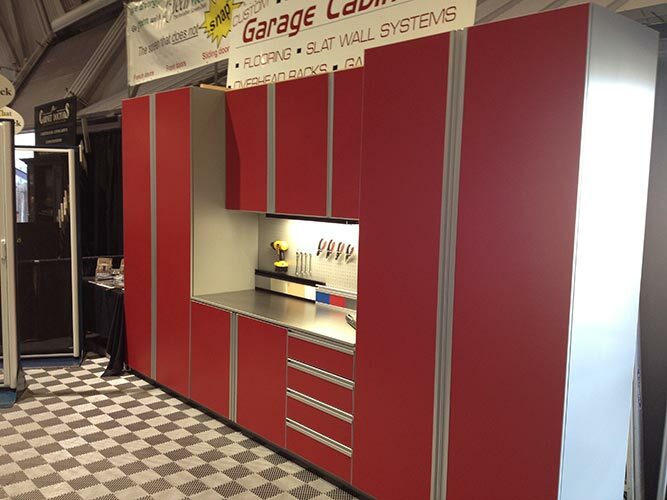 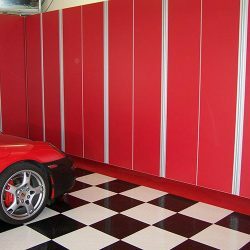 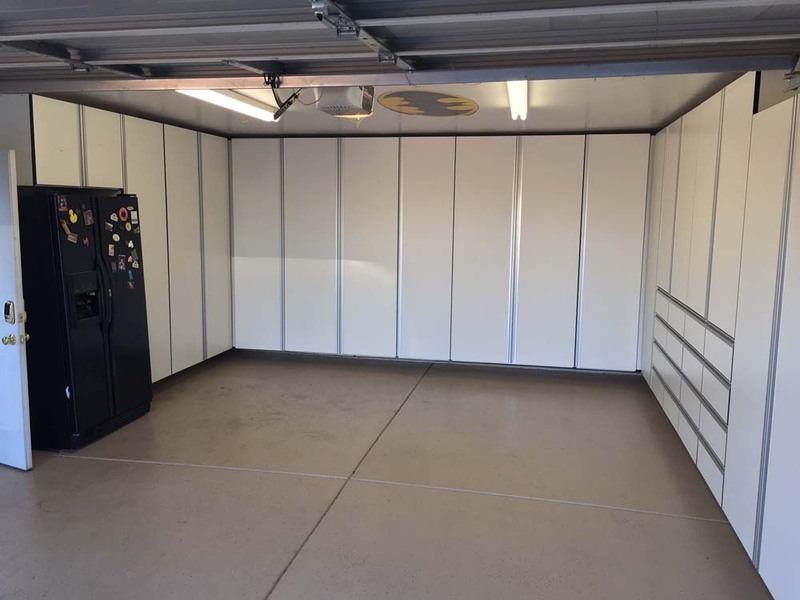 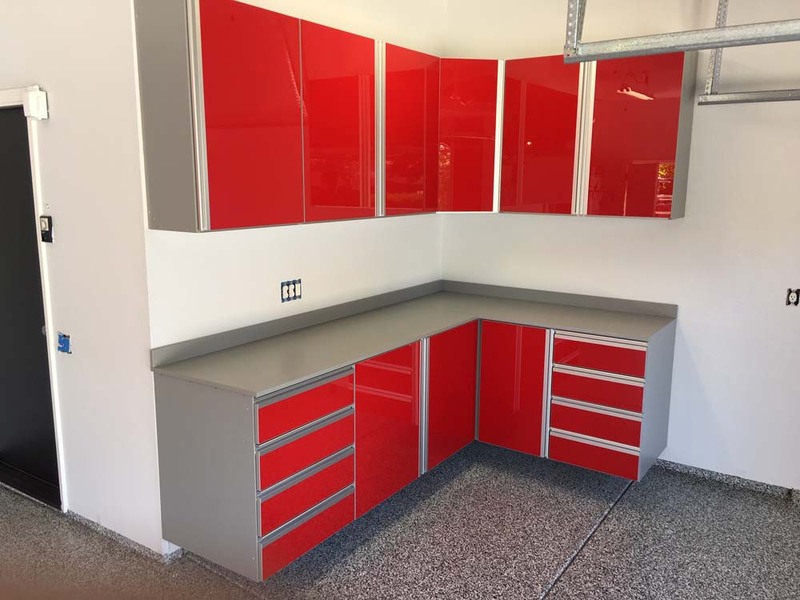 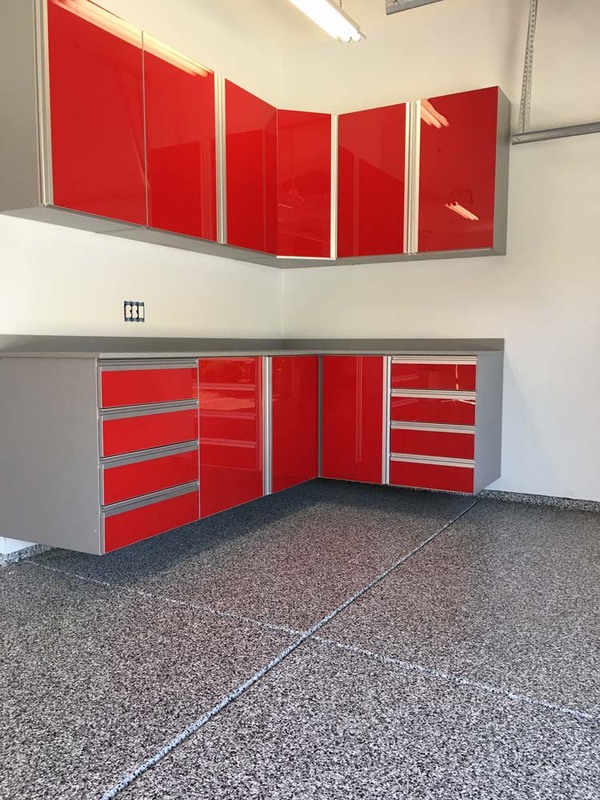 Maximum strength construction, above the floor mounting, and three-quarter inch thick shelves with aluminum extrusions are just a few of the special features that you will find in Advanced Garage’s custom garage cabinets. 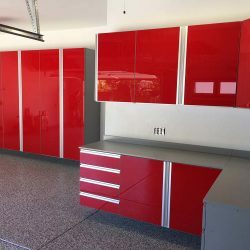 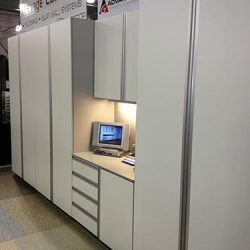 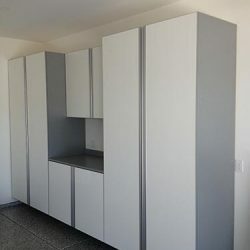 Each cabinet is crafted from three-quarter inch thermo-fused melamine by our expert craftsmen using the very latest in computer-controlled point-to-point routers. 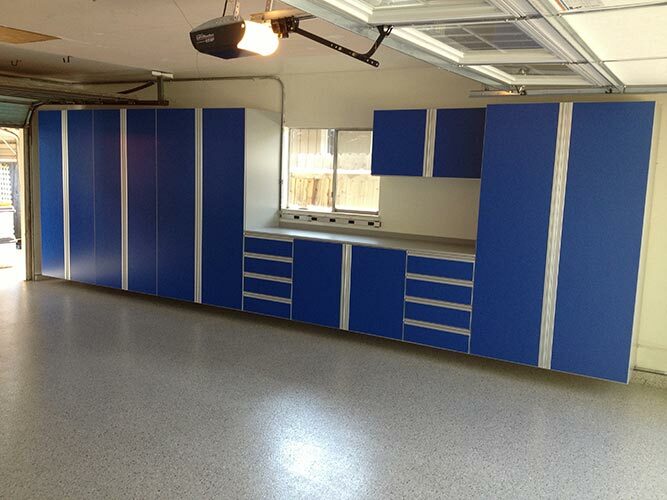 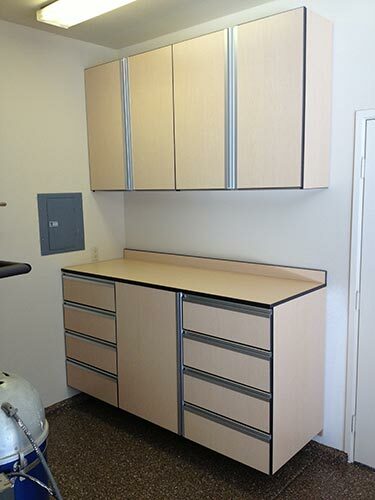 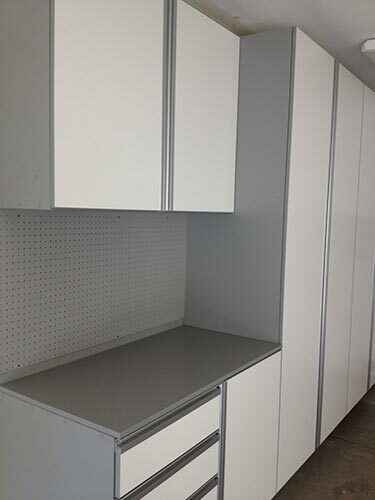 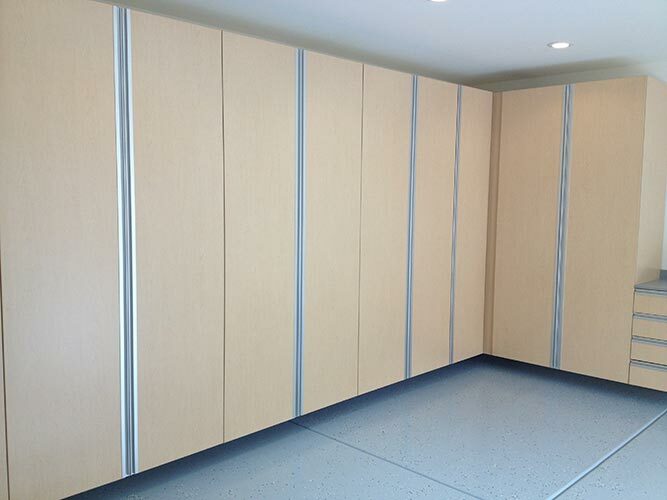 Assembly of our custom garage cabinets is done using steel screws and thermo-bond glue — we never use staples or nails. 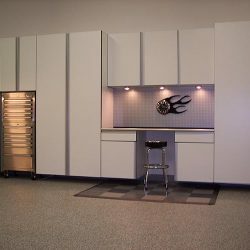 Since we build in a frame-less Euro Style, there are no center posts or face frames to contend with: open our doors and have access to the full width of the cabinet — bulky items fit effortlessly. 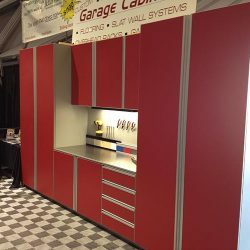 Unique to our cabinets, Advanced Garage offers proprietary aluminum extrusions that are pressure-clipped onto the front and back of the shelves and to the top and bottom of the cabinet fronts. 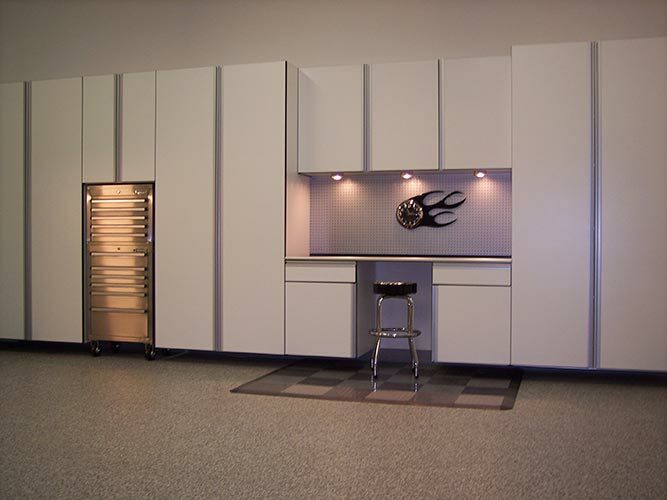 Additionally, we use full-length extruded aluminum door pulls for convenience and good looks. 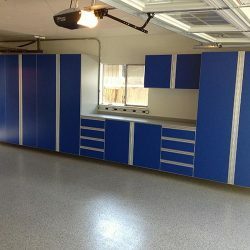 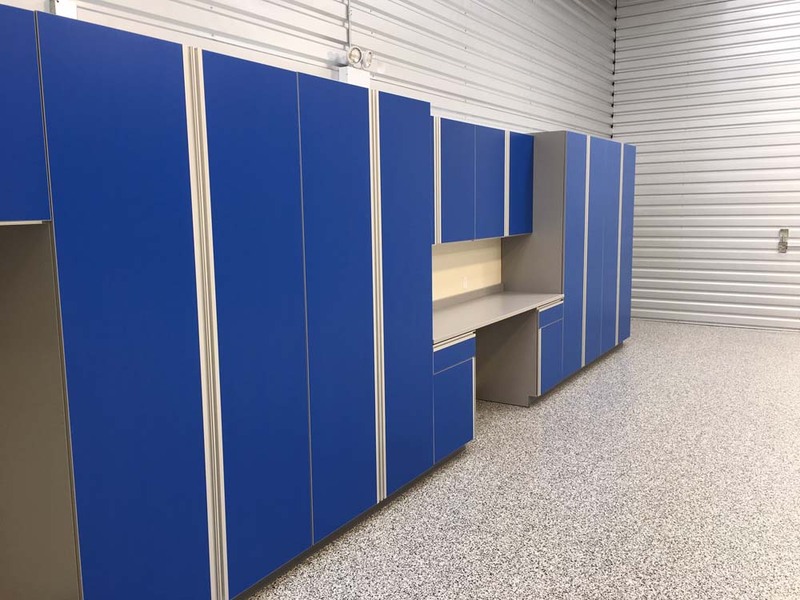 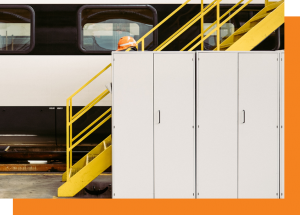 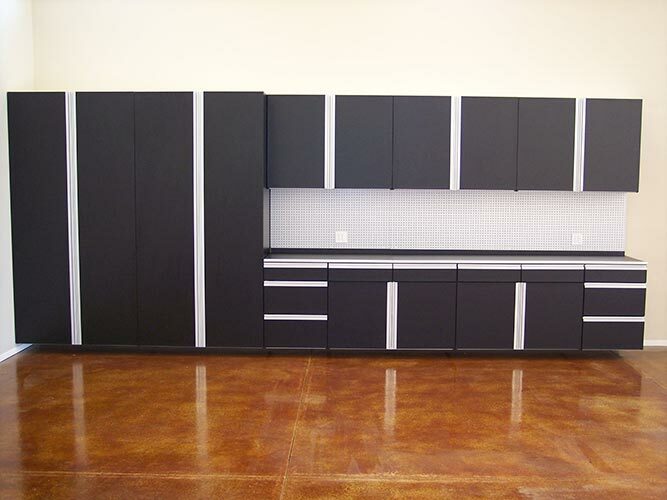 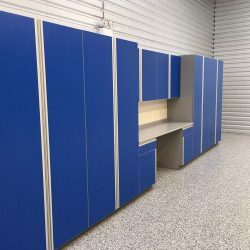 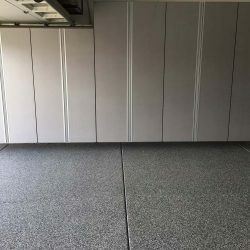 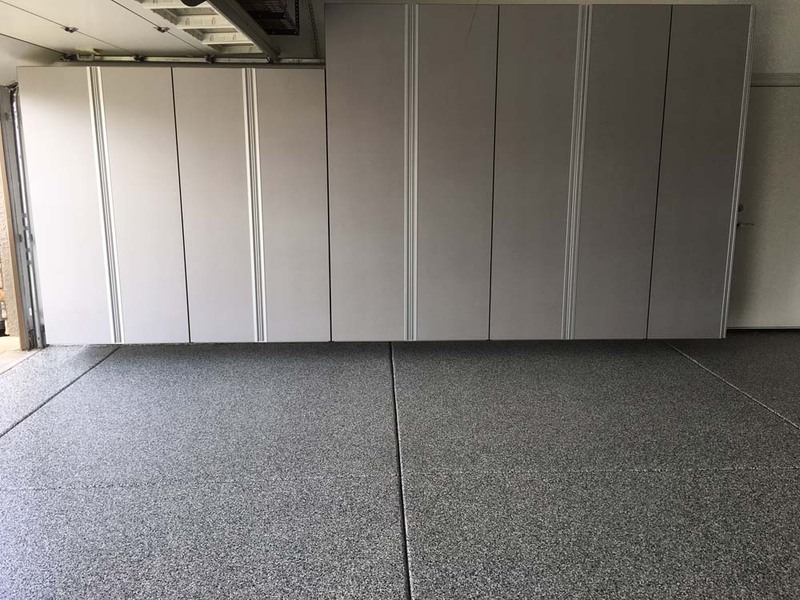 Aluminum adds strength, rigidity, and load capacity to our garage cabinets and shelves, out-performing the heavy one-inch melamine that is common in the industry. 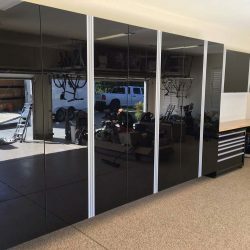 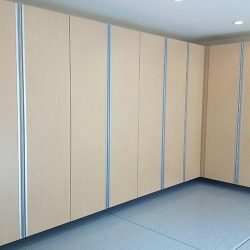 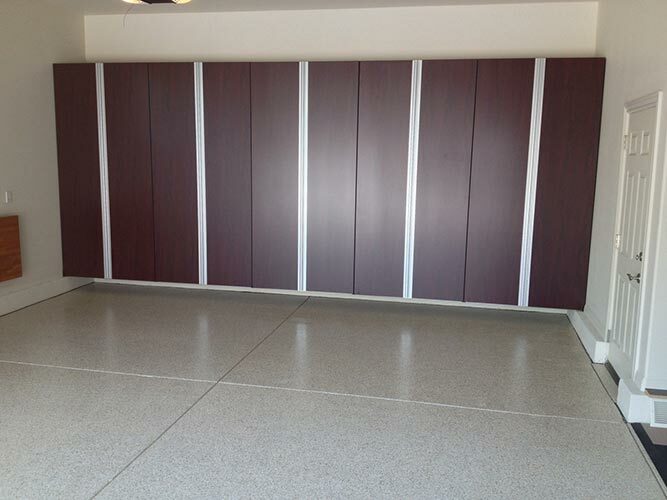 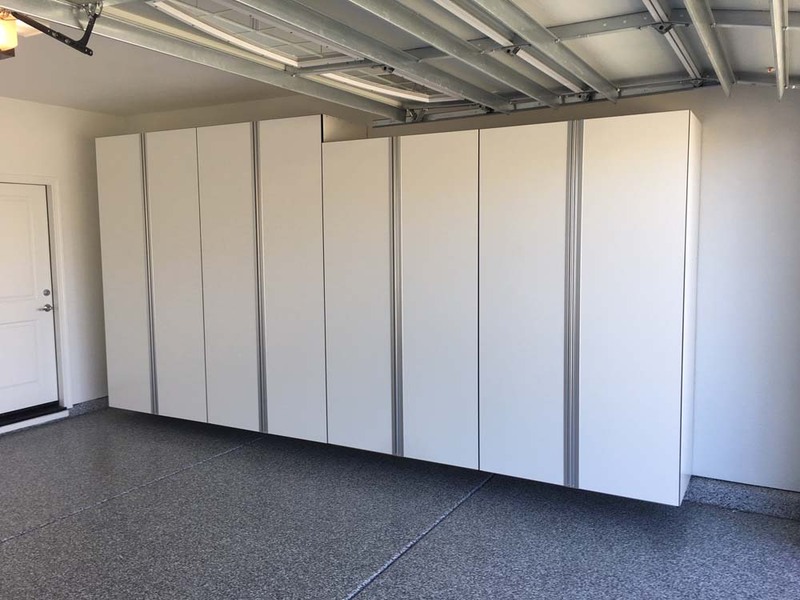 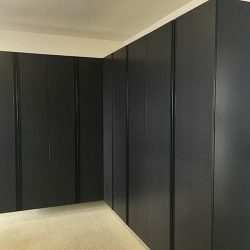 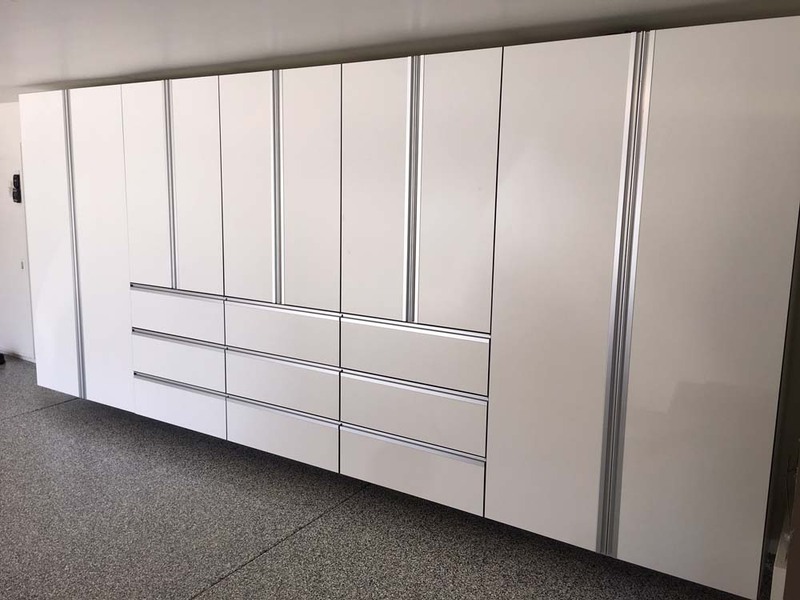 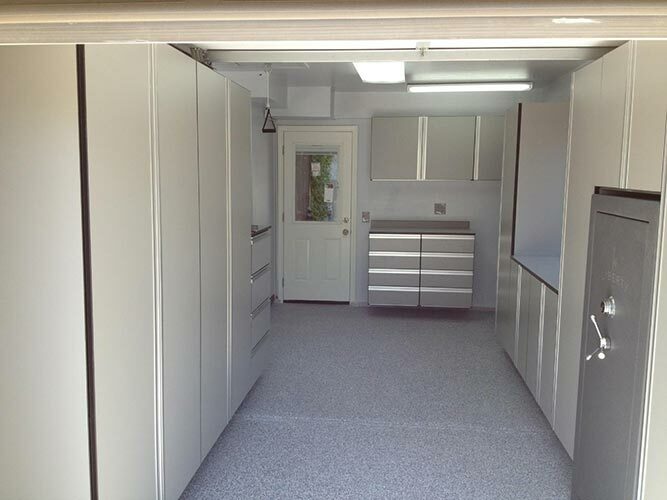 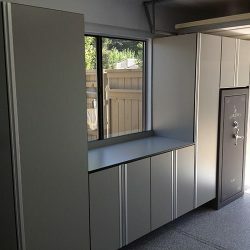 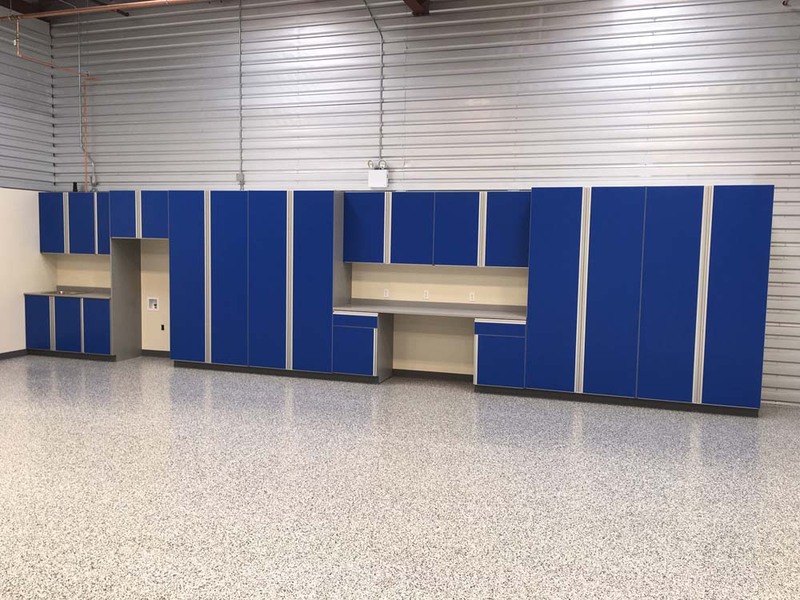 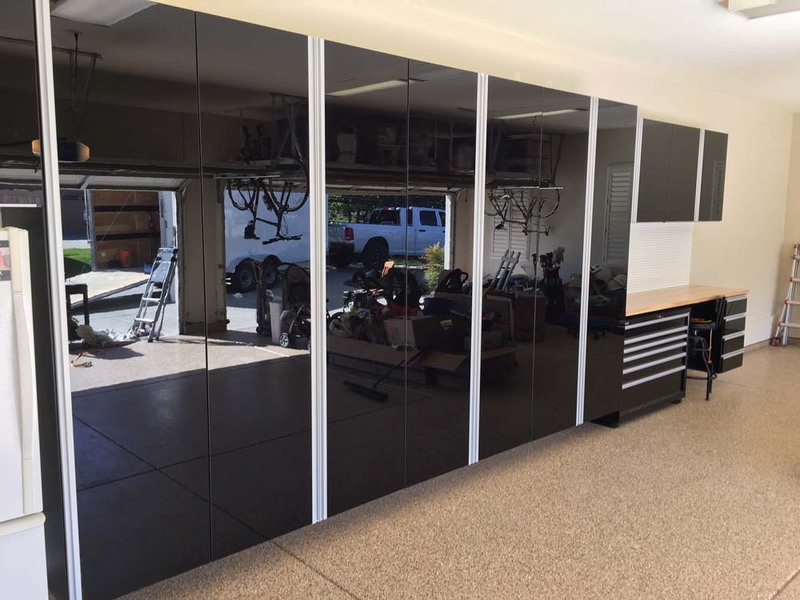 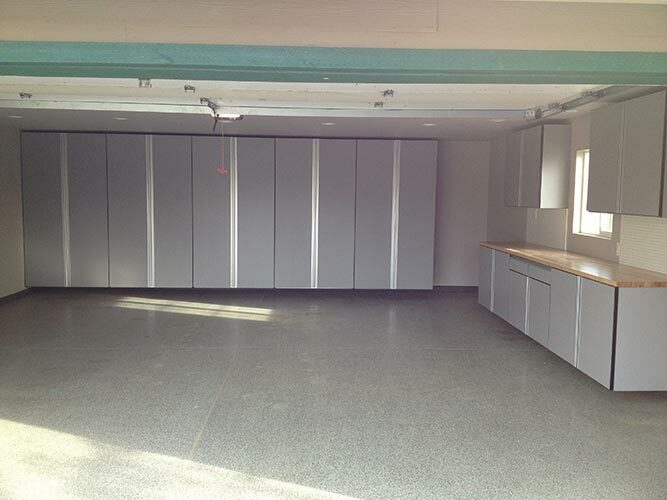 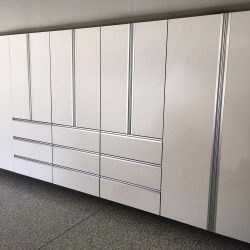 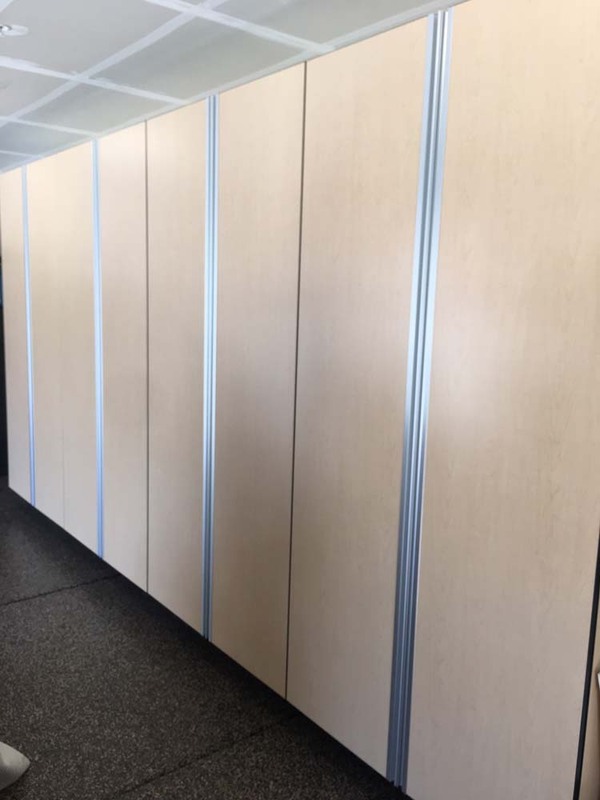 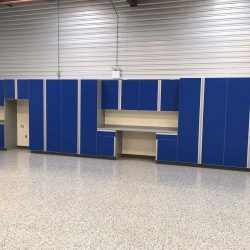 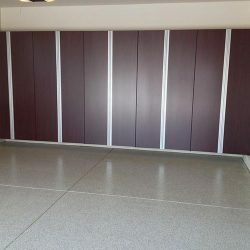 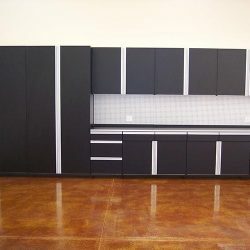 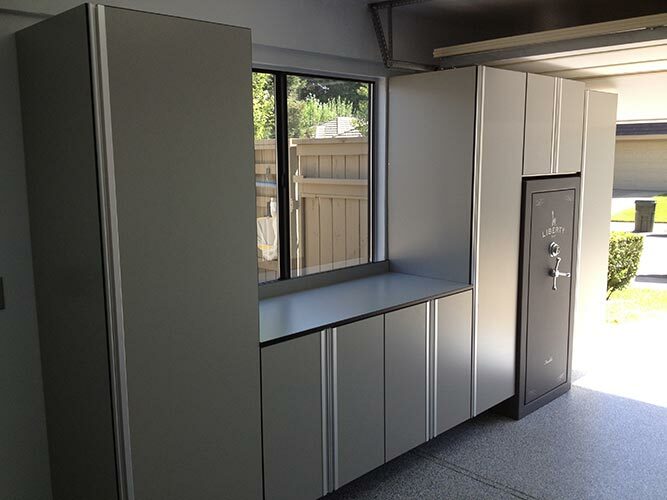 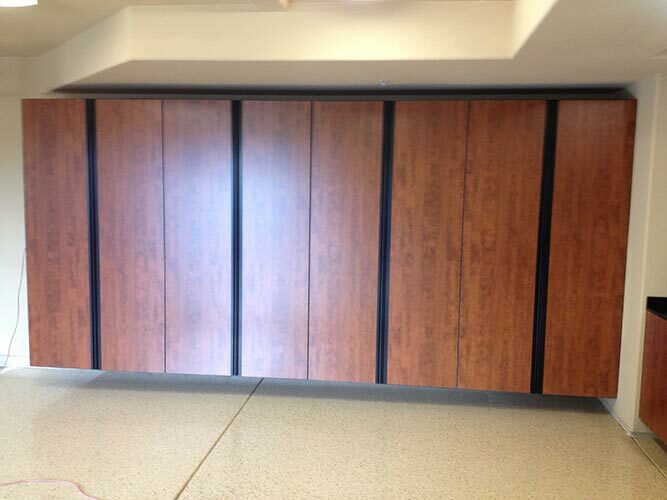 Full backs, concealed Euro hinges, and PVC-edge banding complete what are some of the strongest and best looking garage cabinets in Sacramento and on the market. 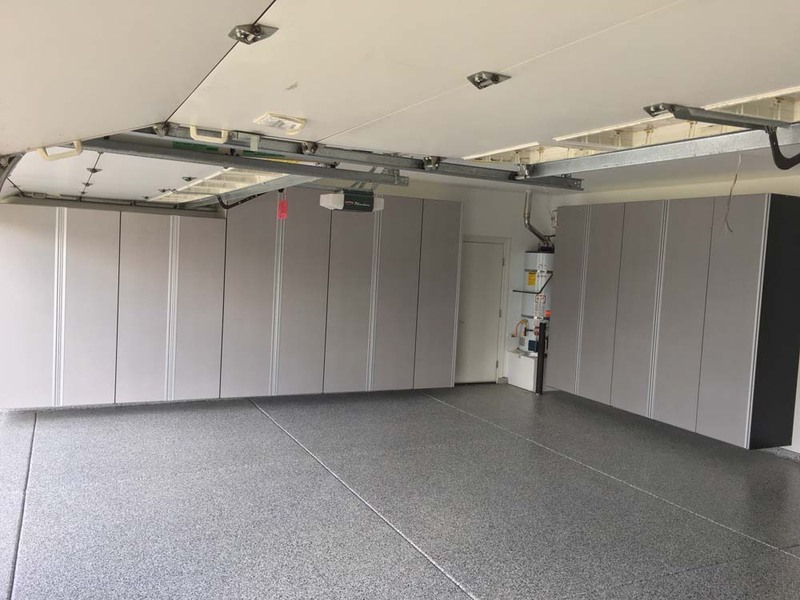 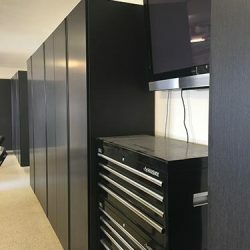 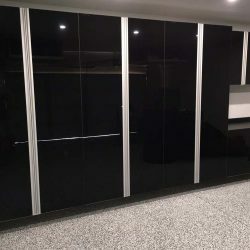 Advanced Garage’s licensed installers wall-hang every cabinet using four-inch steel screws, attaching the garage cabinet through the horizontal nailers directly to the wall studs. 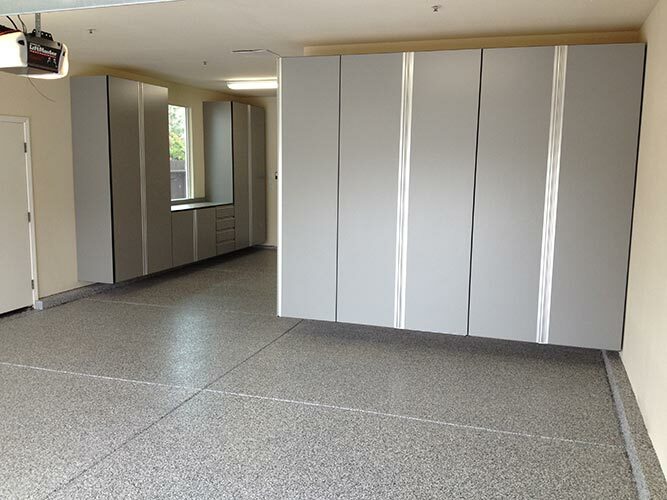 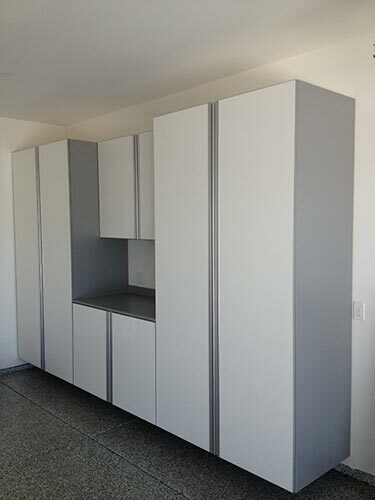 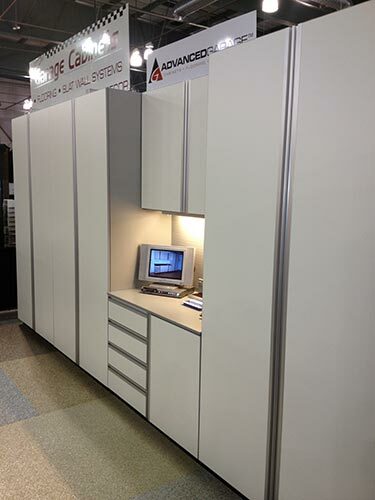 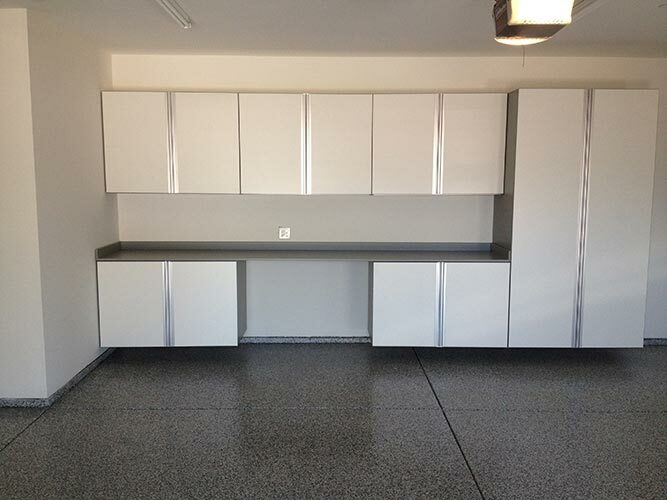 Due to our superior construction, our cabinets do not require legs or floor support of any kind. 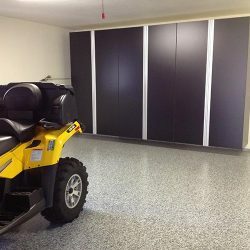 The above floor mounting technique eliminates nesting places for bugs and rodents and helps avoid the possibility of water damage. 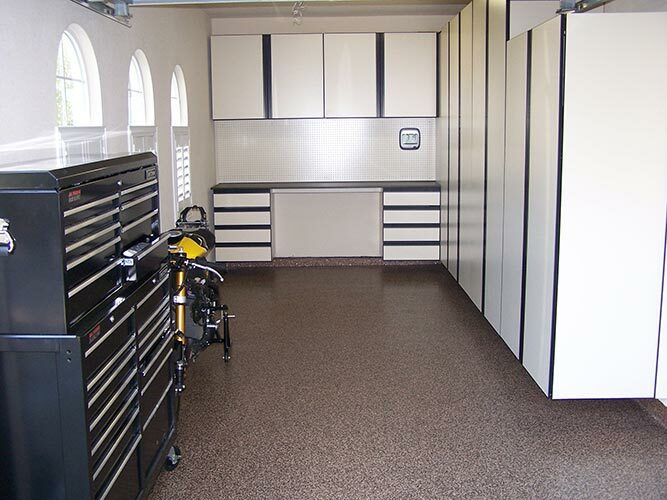 No garage is complete without a workbench or utility center. 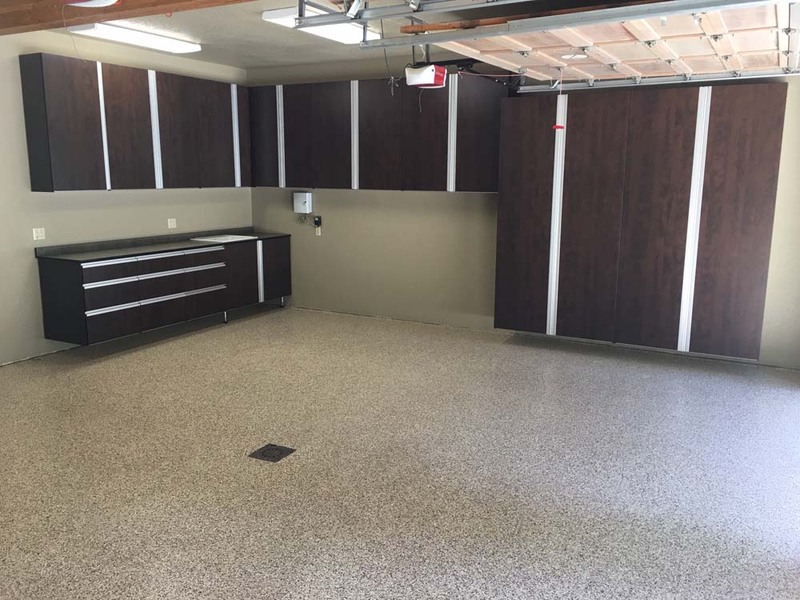 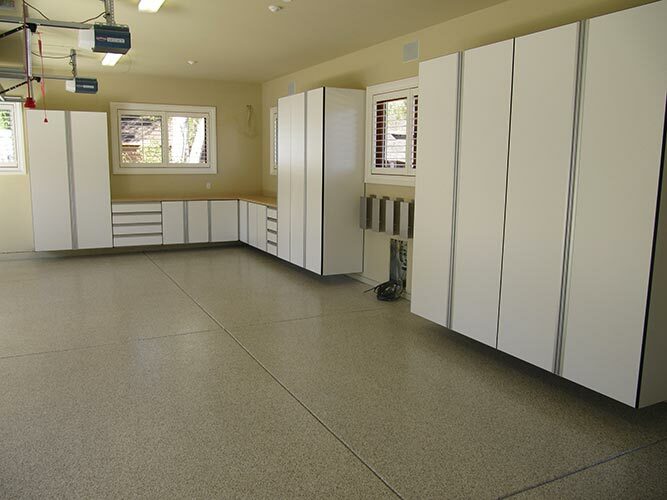 Advanced Garage’s designers will help you create a utility center with features like full extension ball-bearing drawer slides, butcher block work surfaces, and under-cabinet lighting. 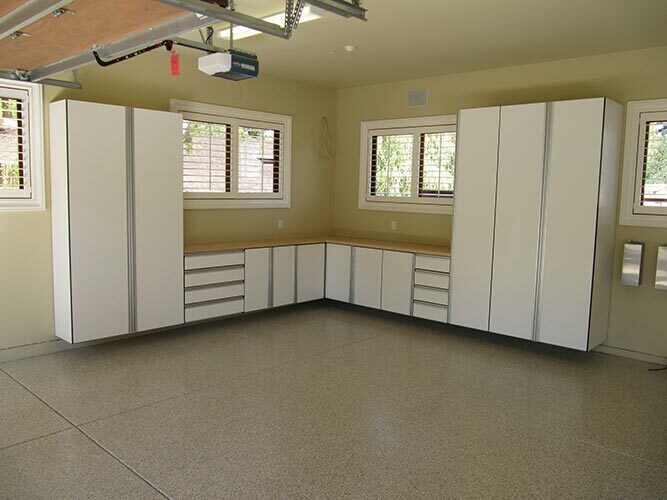 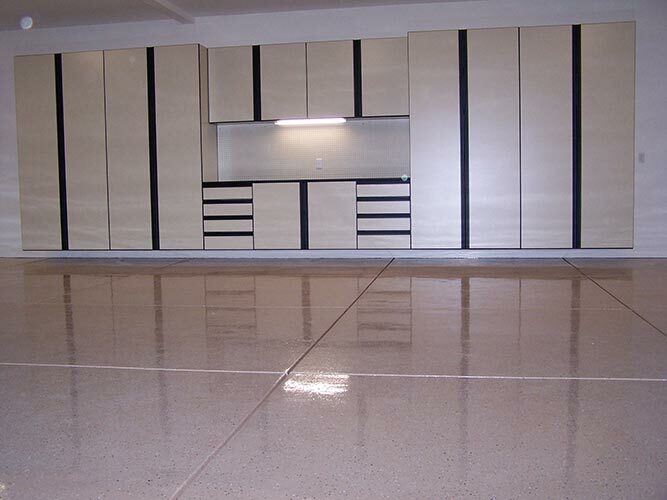 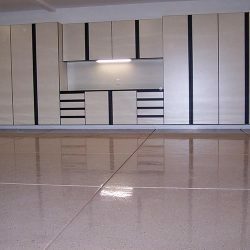 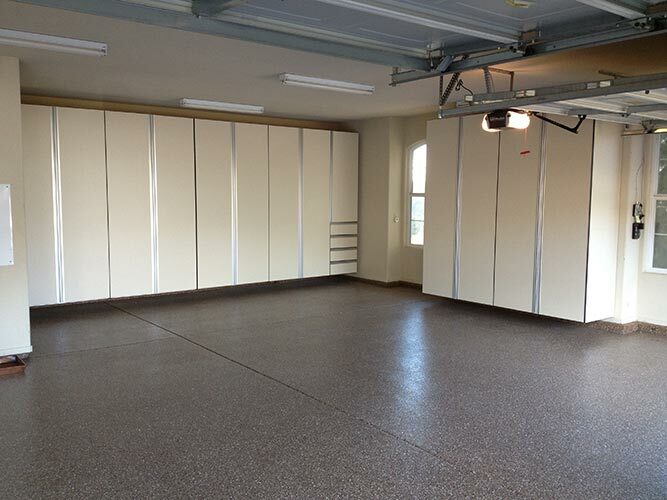 We will combine your ideas with our expertise to create a garage that is as functional as it is attractive. 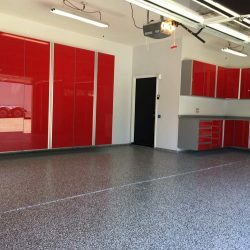 To get started, simply give us a call. 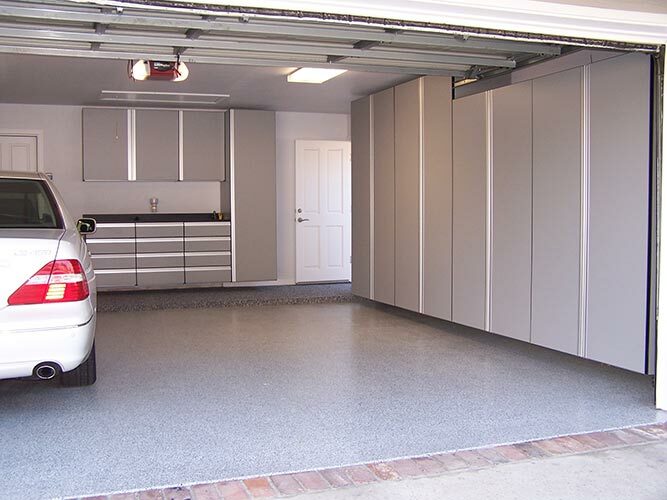 We look forward to helping you create a garage that will be the envy of your neighborhood. 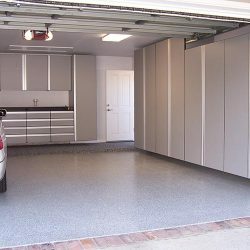 Get an estimate today!